Rebel lawmakers are fighting against the frozen pensions policy as the UK government has been accused of "manipulating" Parliament as it tries to tie passing vital increases in carers' allowance to the freezing of some overseas pensions. 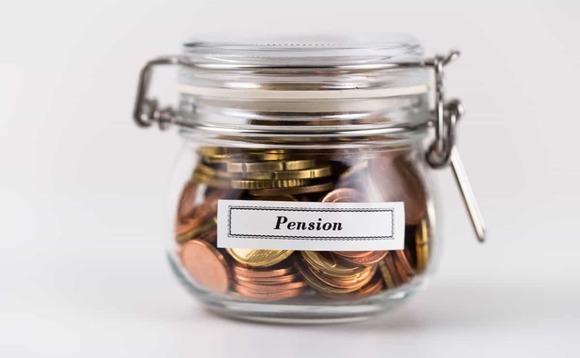 The Department for Work and Pensions introduced rules in March that restrict the state pension annual increases in cases where the beneficiary is not living in Great Britain. Currently, the majority of pensioners living in the UK have their state pension increased according to the triple-lock principle, meaning it is by a minimum of 2.5%, the rate of inflation, or average earnings growth, whichever is the highest. Why do they get the increase in Jamaica but not Trinidad, in the United States but not Canada, and in the Philippines but not Indonesia? It is crazy"
The same applies to expat pensioners living in certain countries, such as the US, all European Union countries, Barbados, Bermuda and Israel. However, pensioners living in countries such as Australia, Canada, New Zealand and South Africa however have had their state pension frozen at the value it was at in the year they left the UK. There are 510,000 UK pensioners who have had their retirement income all but destroyed as a result. The government has lodged a statutory instrument (SI) tying the passing of vital increases in carers' allowance to the freezing of some overseas pensions. This, rebel MPs say, makes it very difficult for those supportive of ending the "frozen pensions" policy to vote against it as they would have to block the SI as a whole, preventing rises to other benefits. Downing Street is now facing a challenge from the veteran Conservative and former minister Sir Peter Bottomley. He has laid an early day motion protesting against the SI. At a debate in the House of Commons on Thursday, he said: "It seems time that we take our responsibilities to those pensioners as seriously as we take our responsibilities to others. "Why do they get the increase in Jamaica but not Trinidad, in the United States but not Canada, and in the Philippines but not Indonesia? It is crazy." The SI is open to objections from parliamentarians until 17 May. Other MPs have also written to the Speaker calling for a vote on the issue of frozen pensions. "The government has cynically tied together the unjust freezing of the pensions of 510,000 UK pensioners who paid into the system, many of whom served this country, with increases in important social security benefits," he said. "This blocks many MPs from joining me in standing against this injustice. "This is grossly unfair and against democracy. I firmly believe that MPs deserve a vote on the frozen pension policy and that is why I am praying against this statutory instrument to force the government to allow debate on the issue." Recently, Anne Puckridge, a 94-year-old second world war veteran, flown in from Canada to take her fight to Downing Street. "I've come to fight for justice. I paid for my pension, so I should get it," she says. In 2001, Puckridge retired at the age of 76 and went to live with her daughter in Canada. "They sent me a note saying your pension will be frozen at £72.50 per week, which is what I'm getting even now," she explains. Had she stayed in the UK, Puckridge would now be receiving £125.95 per week. She calculates that she has lost out on about £23,000 over the 17 years she has lived overseas. There is cross-party support for her fight. Former Liberal Democrat leader Tim Farron said: "MPs should have a right to vote on the continued policy of freezing the UK State pension paid to expats." He calls the current predicament a "cynical abuse of procedure". Labour MP Tonia Antoniazzi says: "More than 510,000 UK pensioners are suffering under this policy. The least the Government owes them is to allow free debate on this issue." The government has repeatedly said that it has no plans to allow policy increases for expats with frozen pensions.